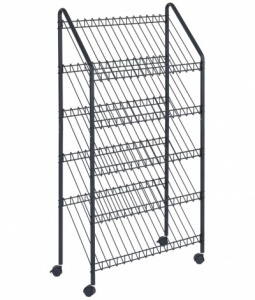 Five large shelves for brochures, magazines, catalogues and newspapers. 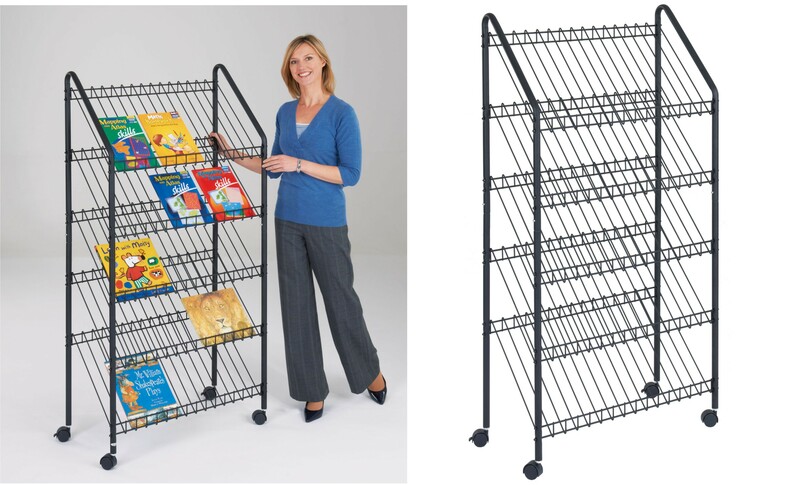 The ideal way to display all types of brochures, magazines or catalogues. Five extra tall shelves for oversized publications. 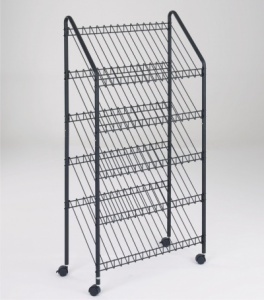 Finished in black powder coated wire, with sturdy tubular side frames. Mounted on four castors for added mobility.